(Los Angeles) – The death toll from the wildfire in northern California rose to 83 Wednesday after crews found two more sets of remains in burned-out buildings, officials said. The number of people listed as unaccounted for in the deadliest and most destructive fire in state history dropped from 870 to 563. This number has been fluctuating wildly amid the confusion of the search for bodies in the town of Paradise, which was largely destroyed by the flames. The figure peaked Saturday at 1,276. 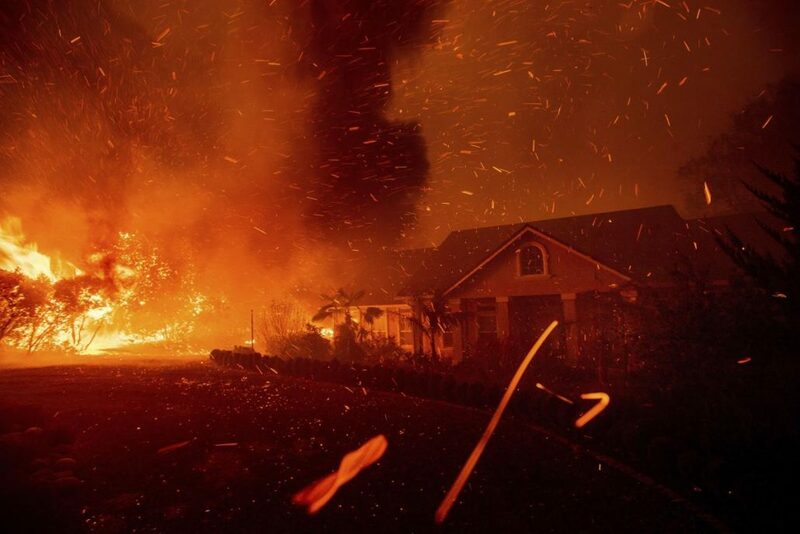 In the north, the so-called Camp Fire has scorched 153,000 acres of land and destroyed more than 13,500 homes. It started on November 8 and is now 85 per cent contained. Crews are preparing to deal with heavy rain forecast for the rest of the week, which will help put out the fire but raises the prospect of flash floods and could wash away human remains. It started raining in the burn area Wednesday night.